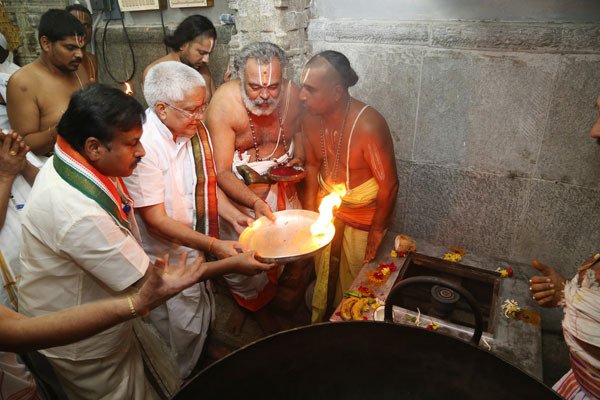 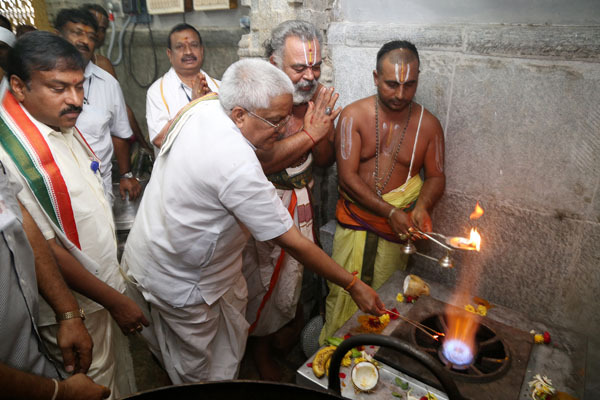 Tiruchanur, Nov 27: The temple potu-kitchen with a new look was inaugurated by TTD EO Sri MG Gopal in the temple of Goddess Padmavathi in Tiruchanoor on Wednesday. 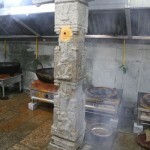 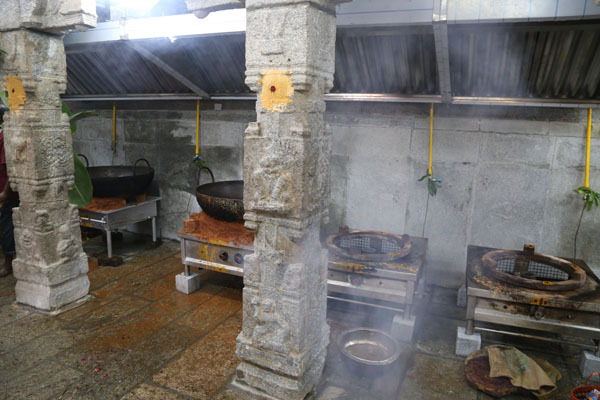 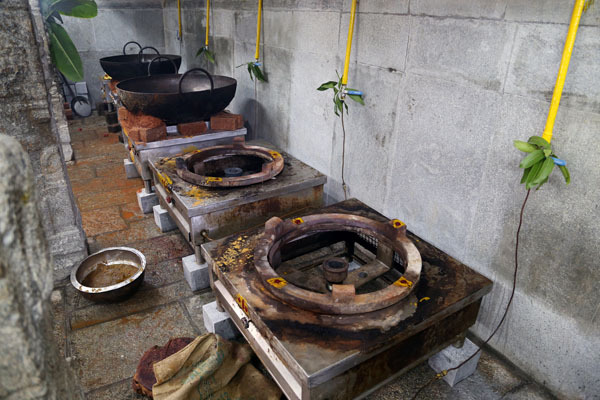 Speaking on this occasion, the EO said, the temple potu has been renovated with advanced machinery including boondi making machine on the lines of Tirumala temple kitchen with a capacity to prepare 40thousand laddus a day. 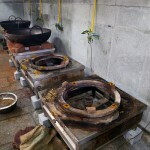 The EO said this new potu will enable to prepare more and tastier laddus. 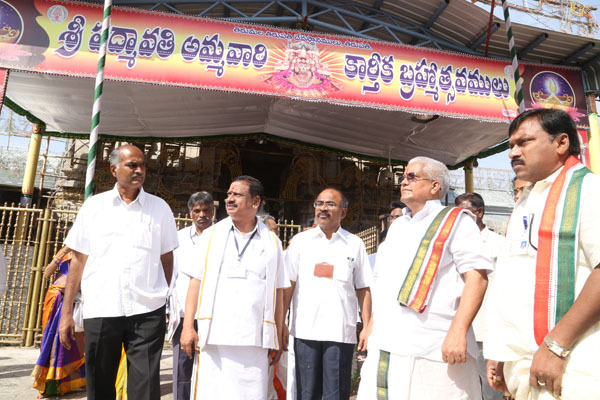 He invited the denizens and devotees to take part in the celestial nine-day event of annual brahmotsavams of Goddess Padmavathi that is take place from November 29 to December 7. 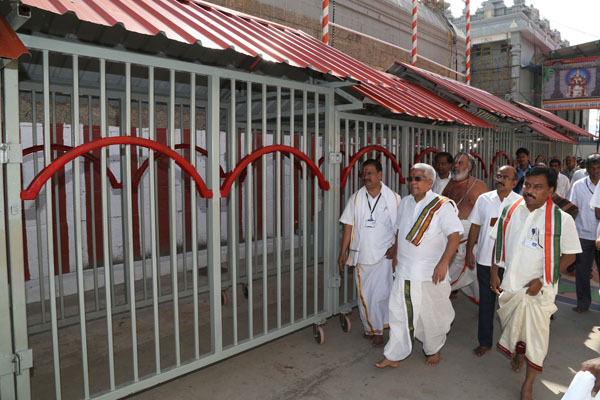 Tiruapti JEO Sri P Bhaskar said, the temple town of Tiruchanoor is decked up to celebrate the mega religious fete which is going to take off in the next 24hours with Ankurarpanam on Thursday evening. 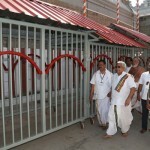 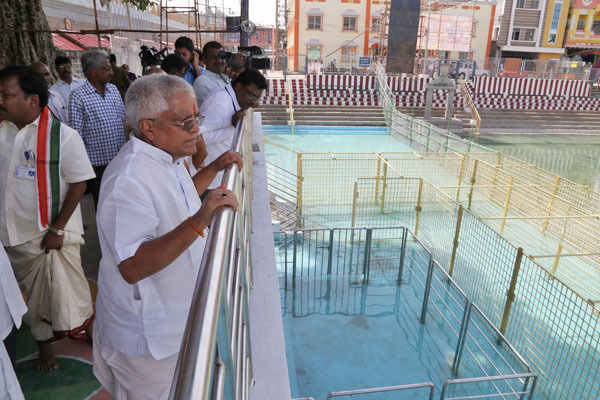 He said different entry and exit points have been arranged to Padmasarovaram for Panchami Teertham. 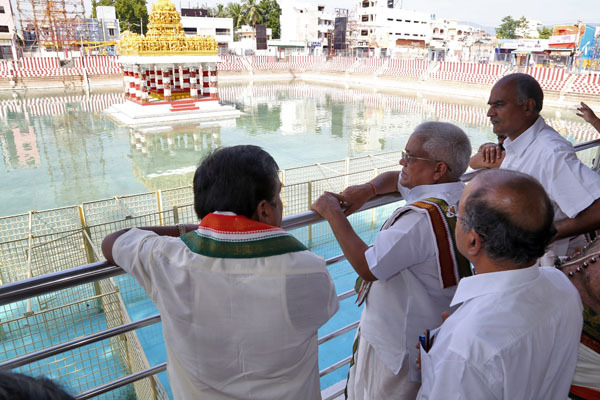 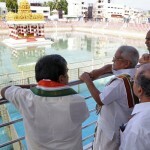 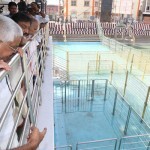 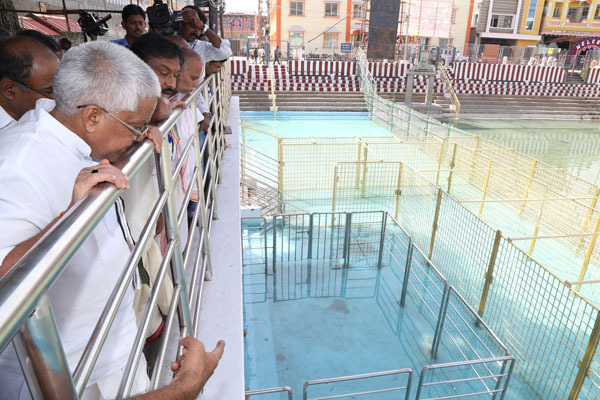 Later the top brass officials of TTD inspected the arrangements in the mada streets, temple tank, Vahana Mandapam etc. 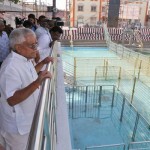 CE Sri Chandra Sekhar Reddy, Sp Gr Dy E O Sri Bhaskar Reddy, VSO Sri Hanumanthu and others were also present.